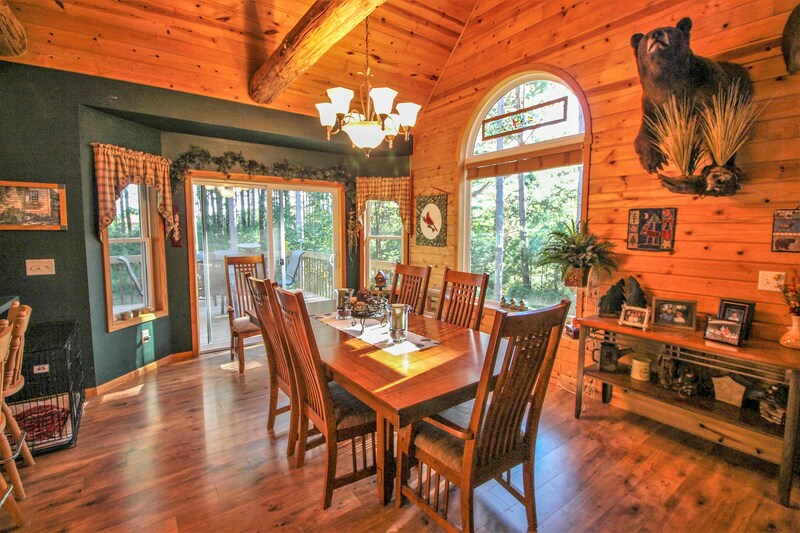 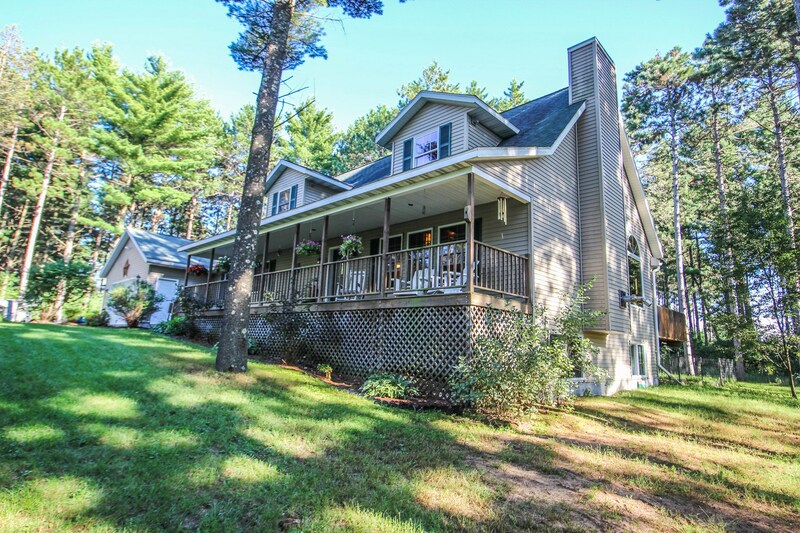 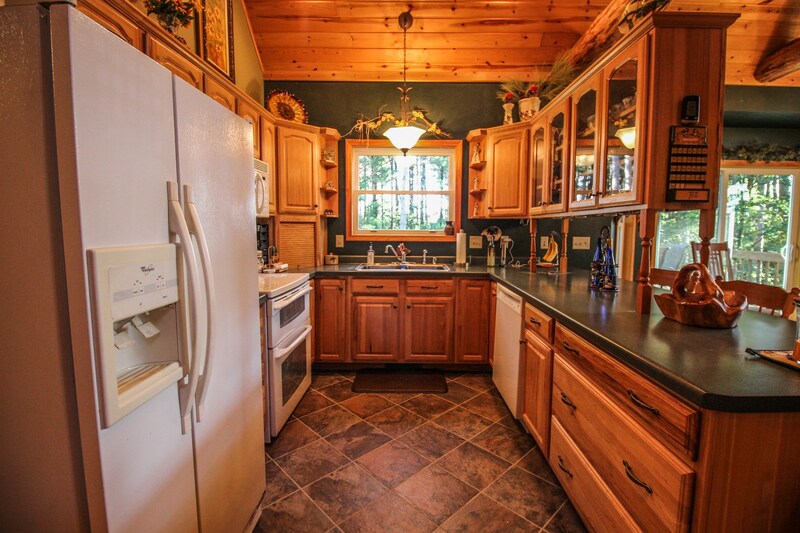 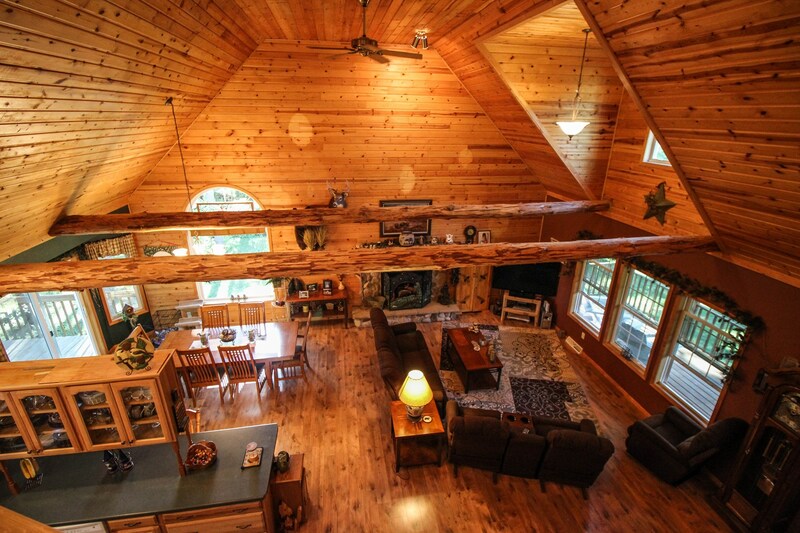 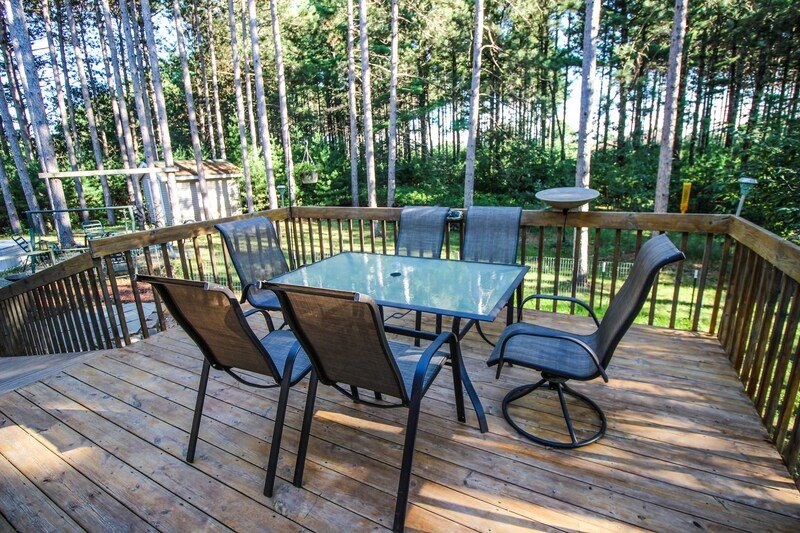 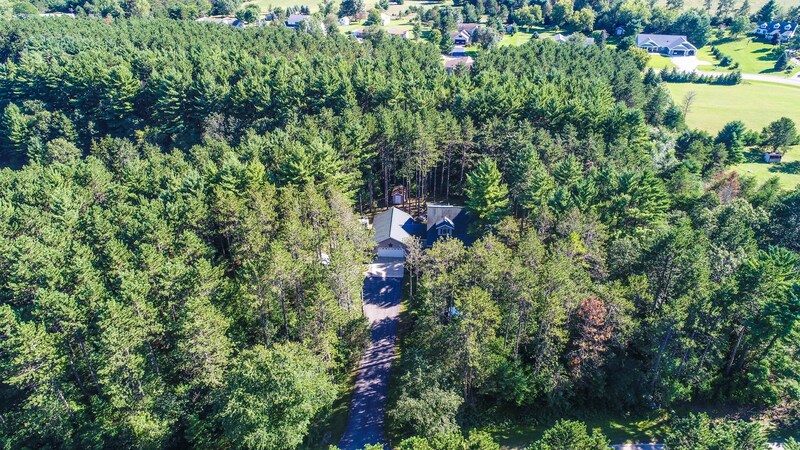 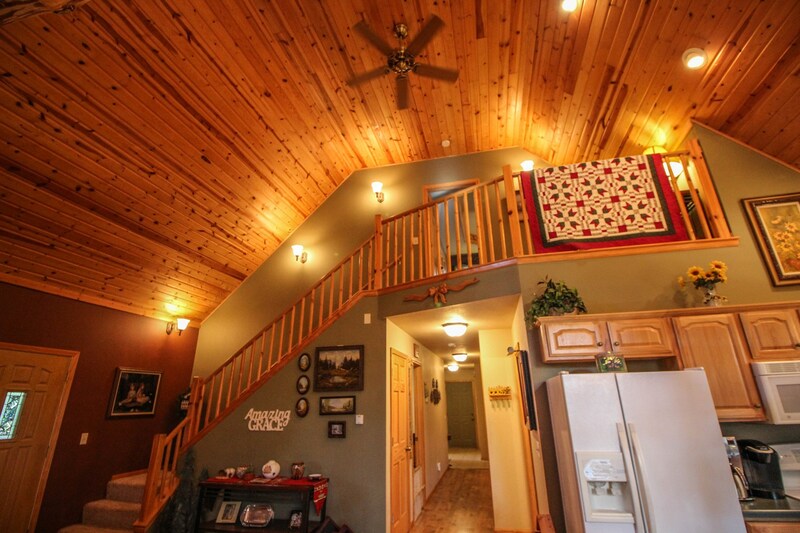 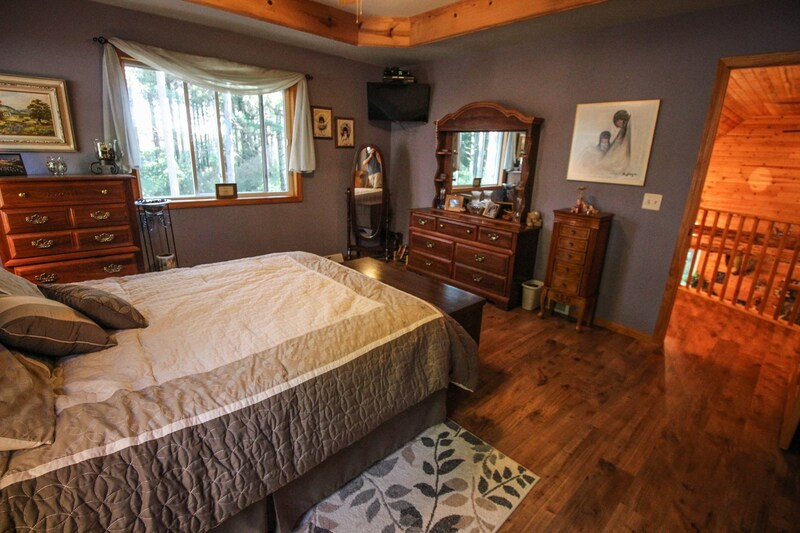 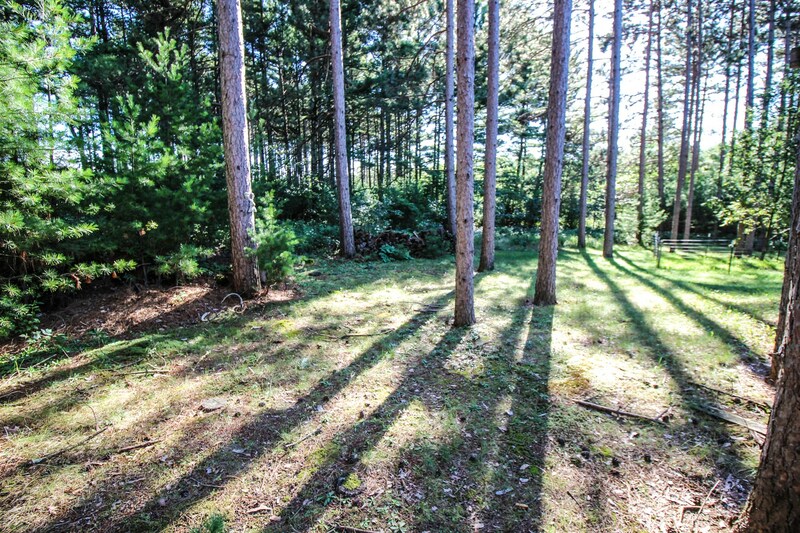 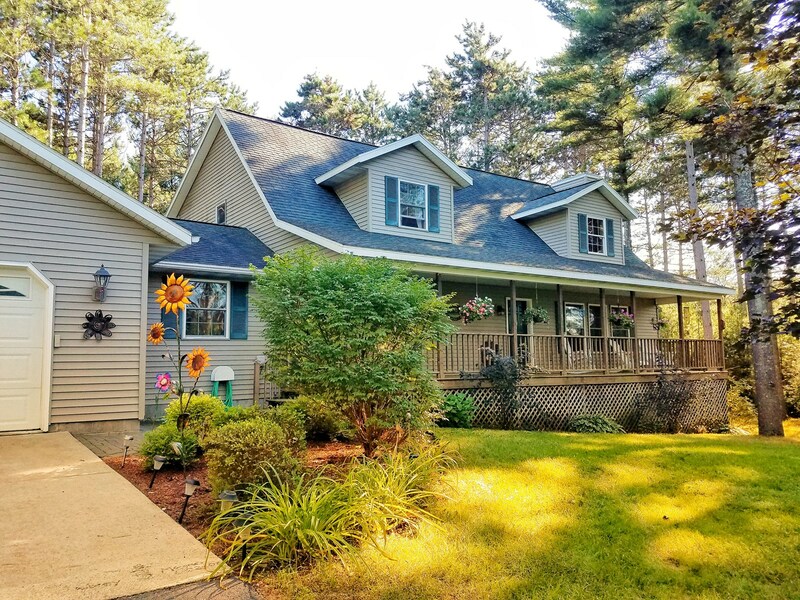 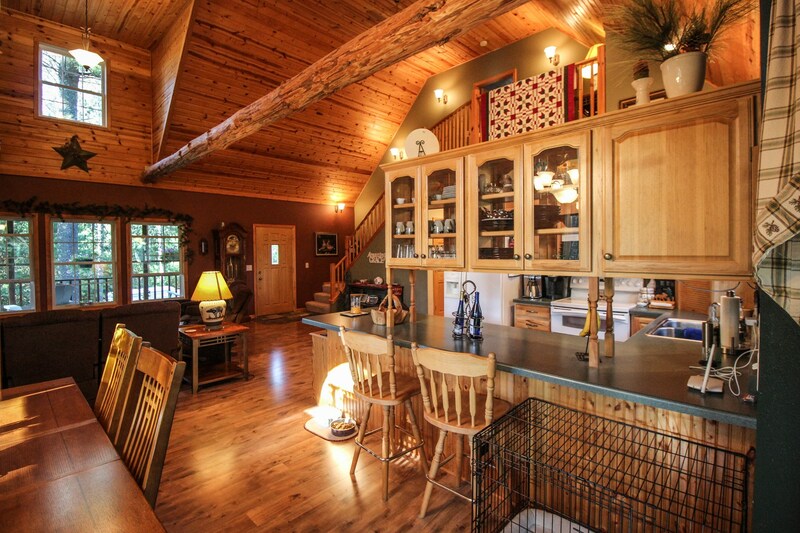 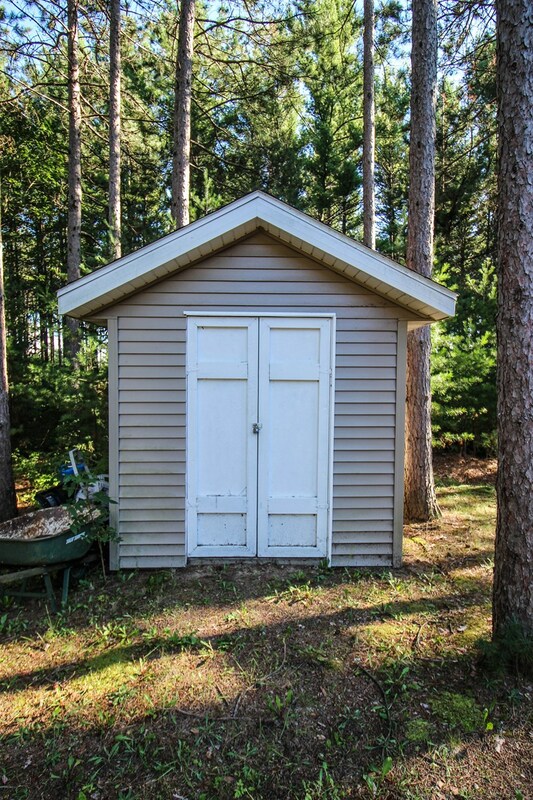 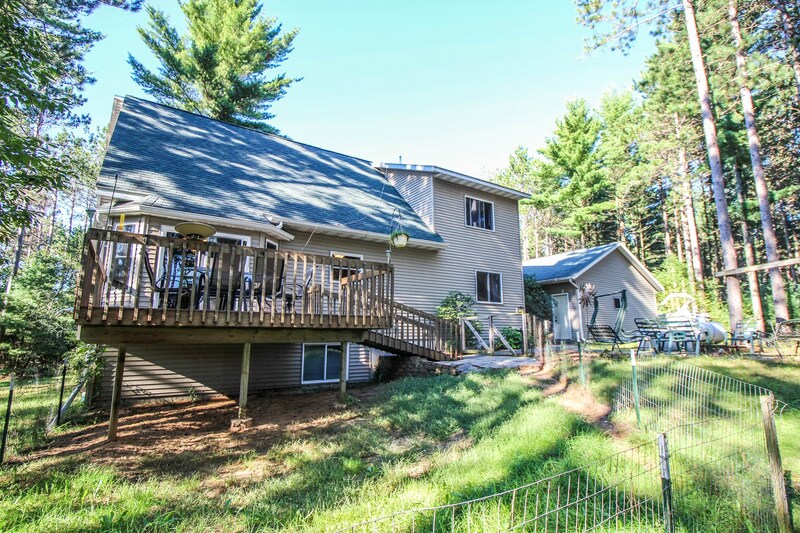 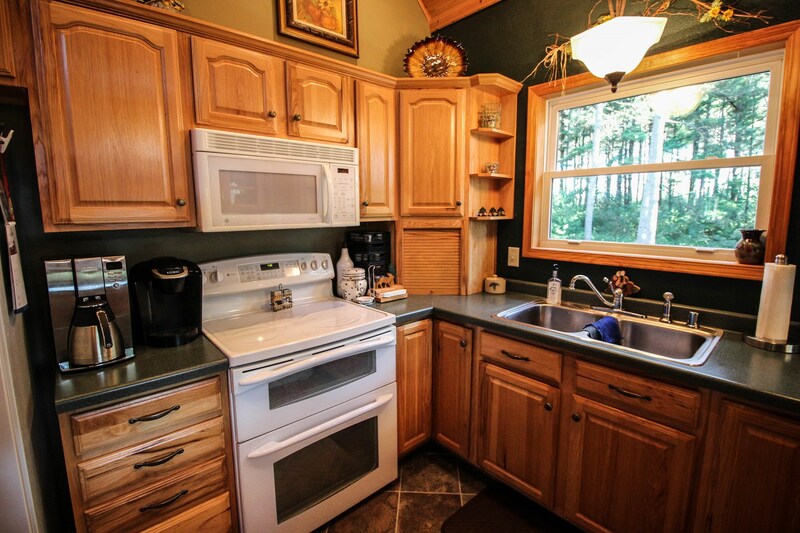 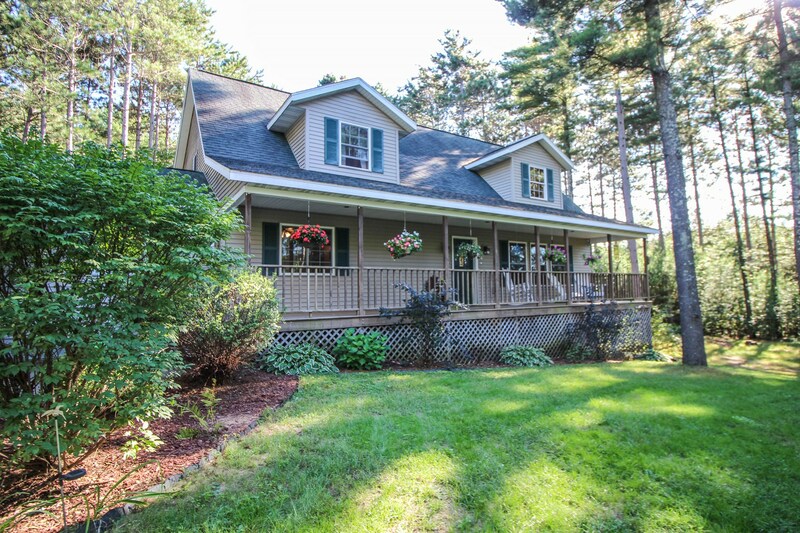 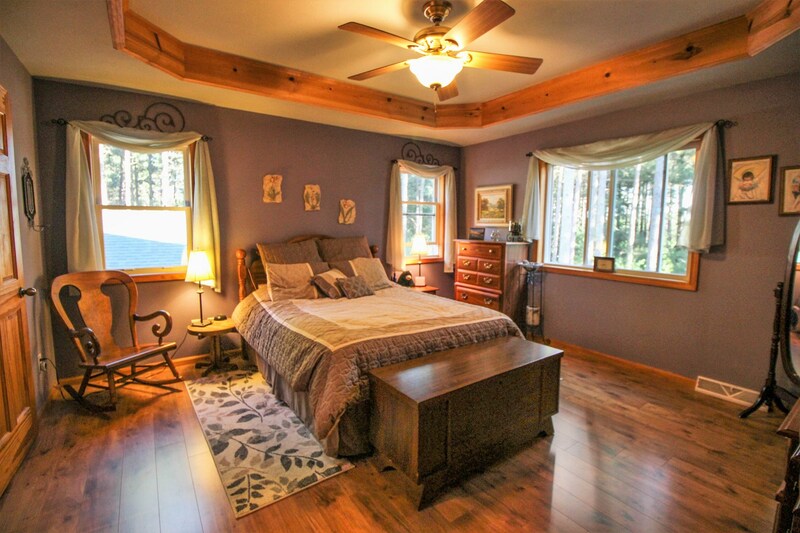 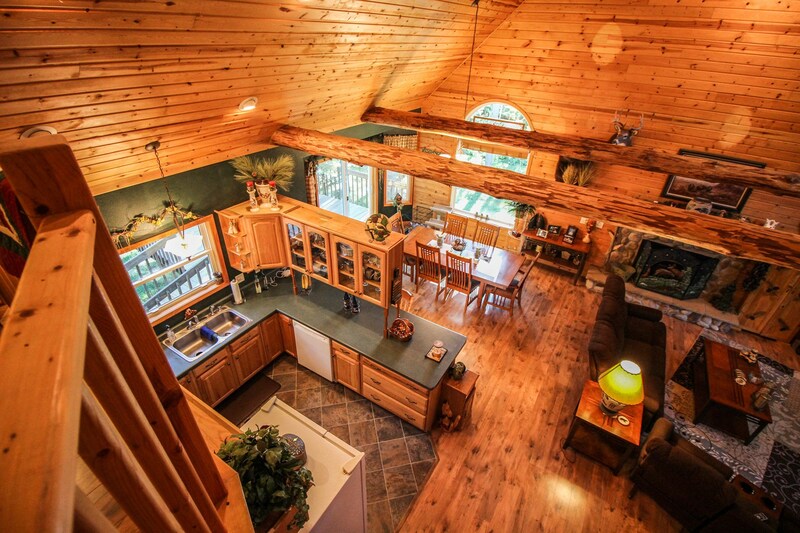 Beautiful home nestled in the woods, located at E748 Berkshire Ln, Waupaca, WI 54981. 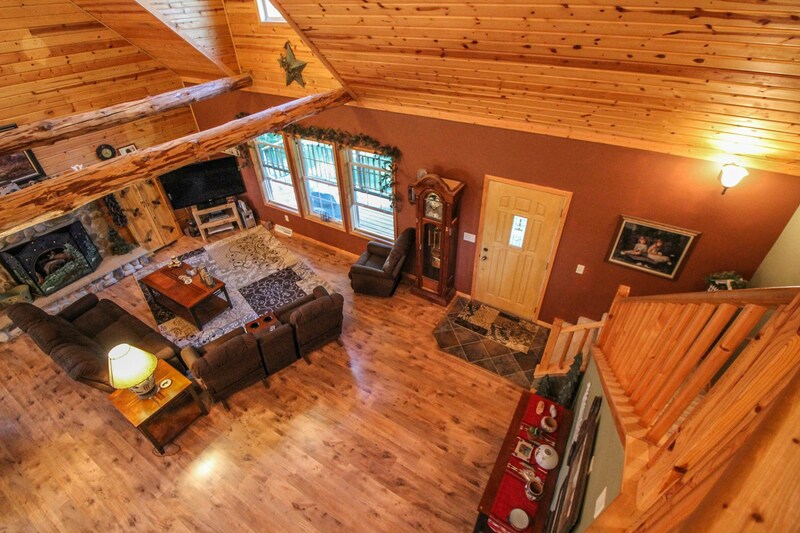 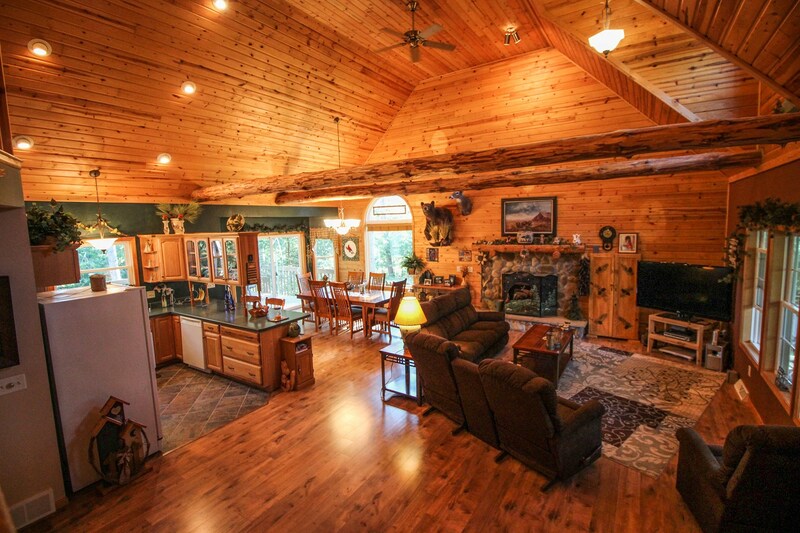 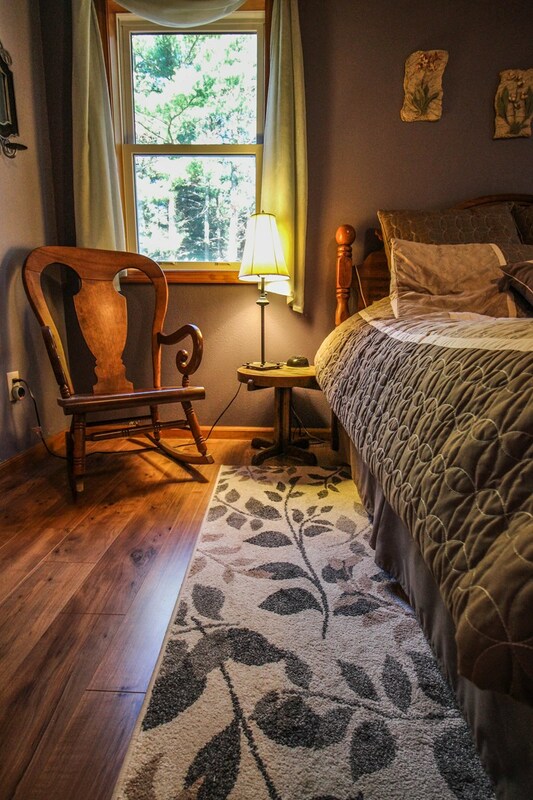 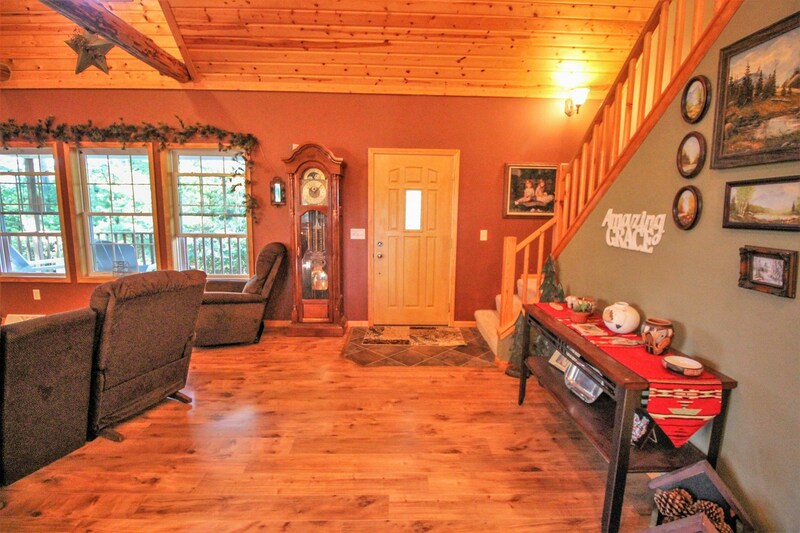 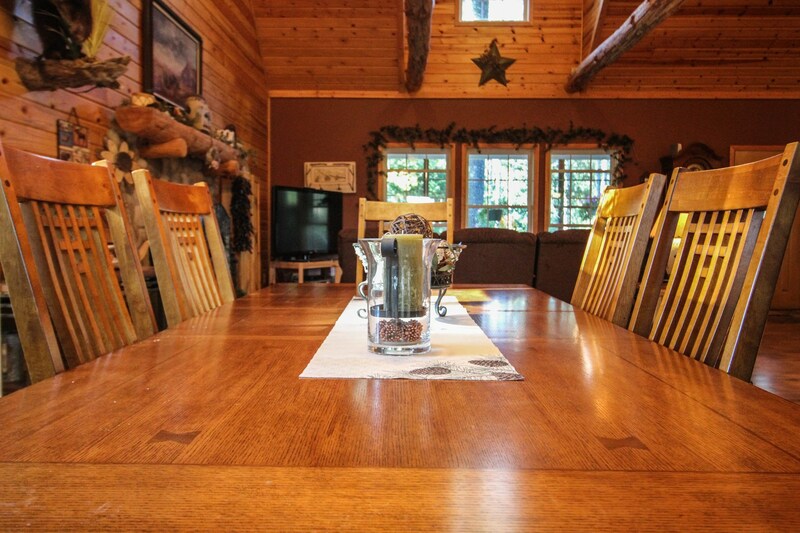 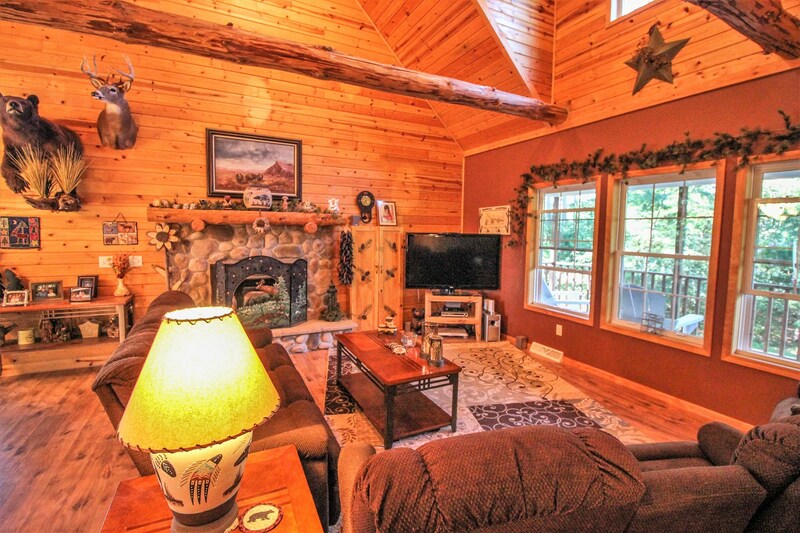 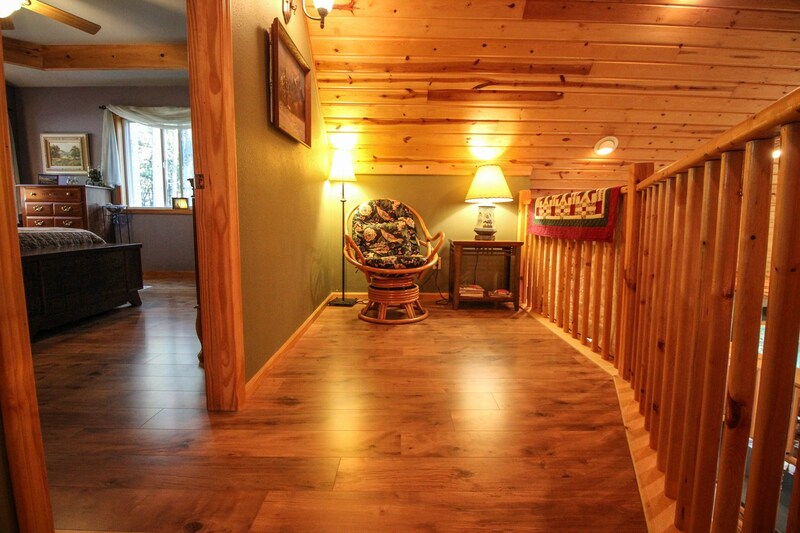 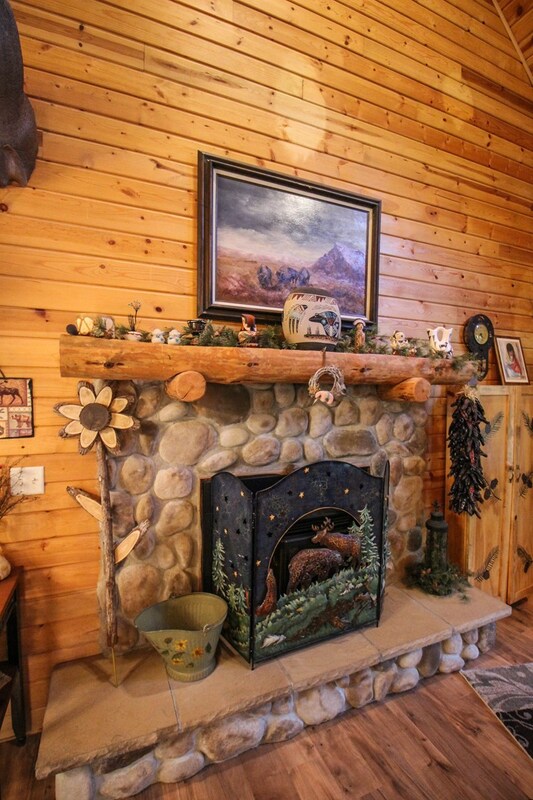 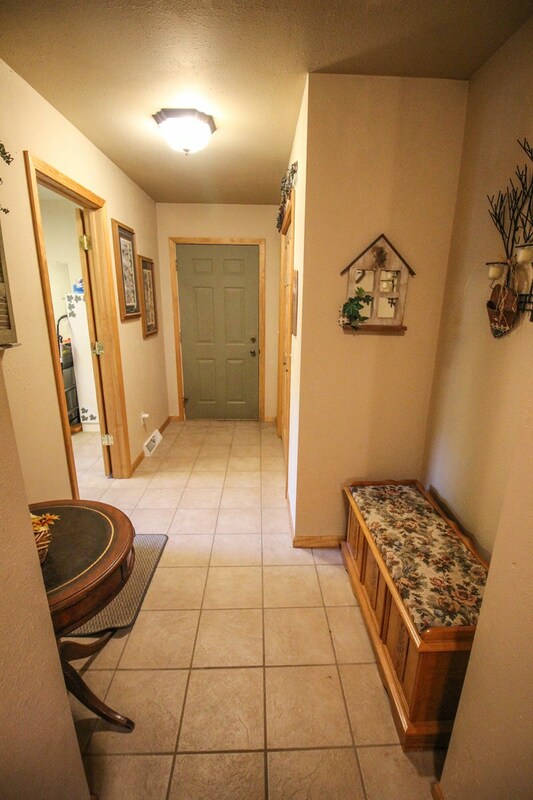 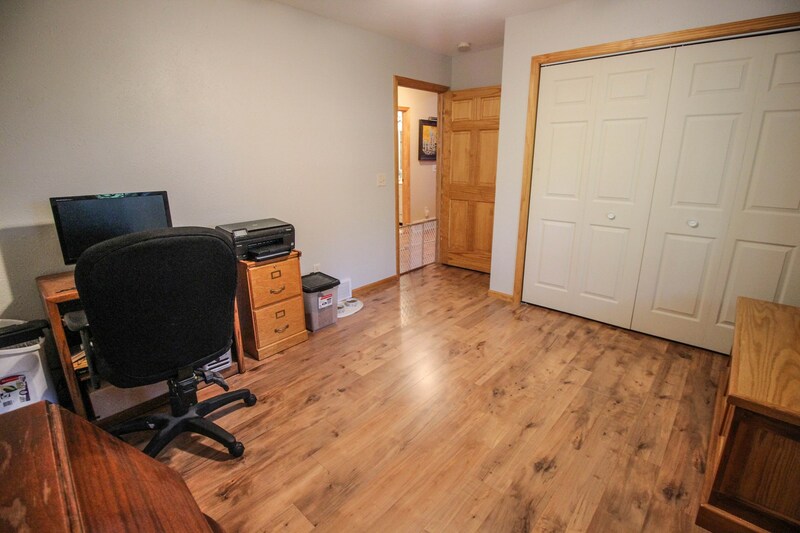 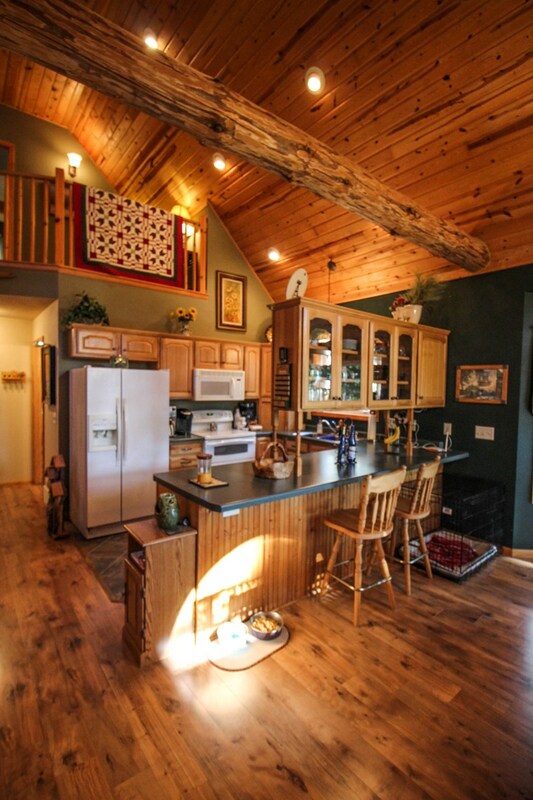 New flooring and many interior updates compliment the large stone fireplace and open feeling of a log cabin. 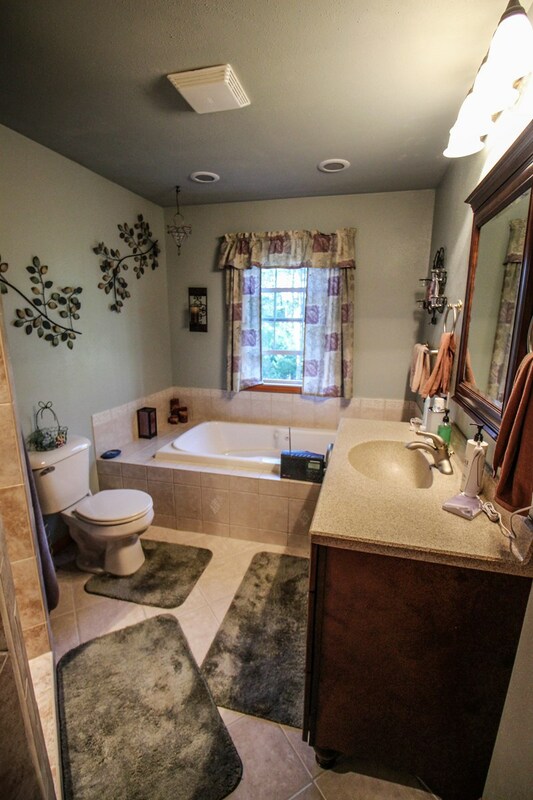 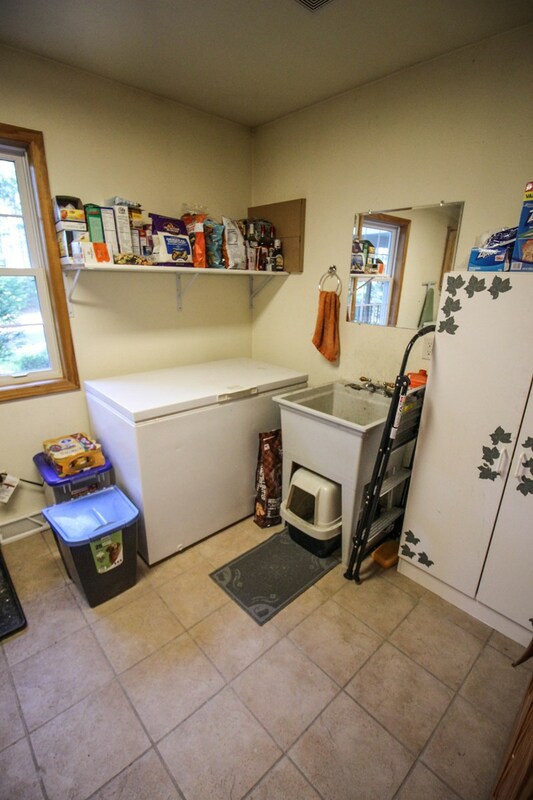 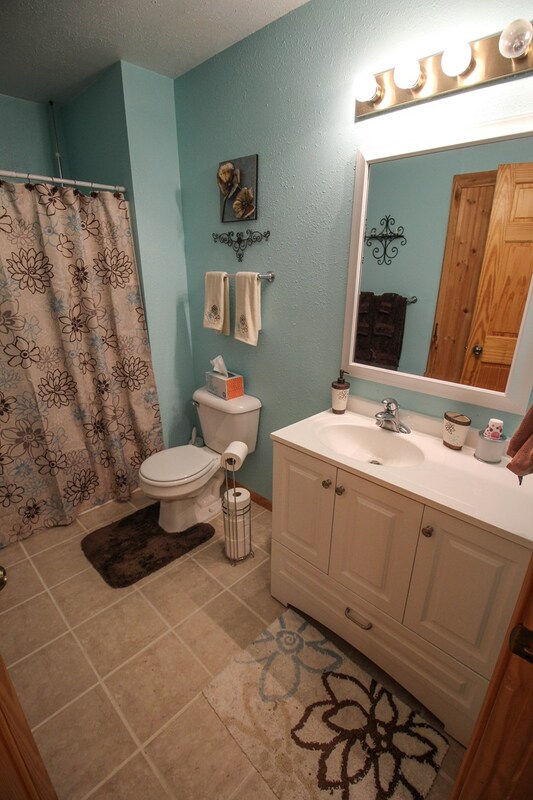 Spacious home with two bedrooms, full bath, and laundry on the Main floor. 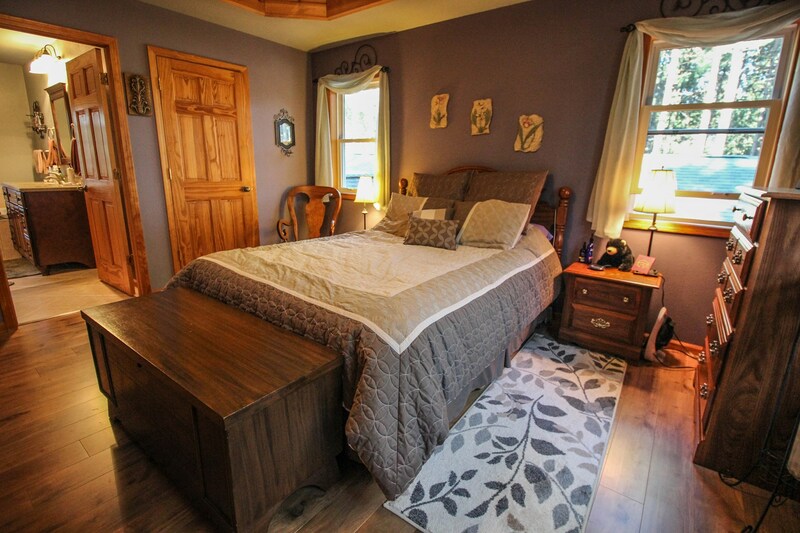 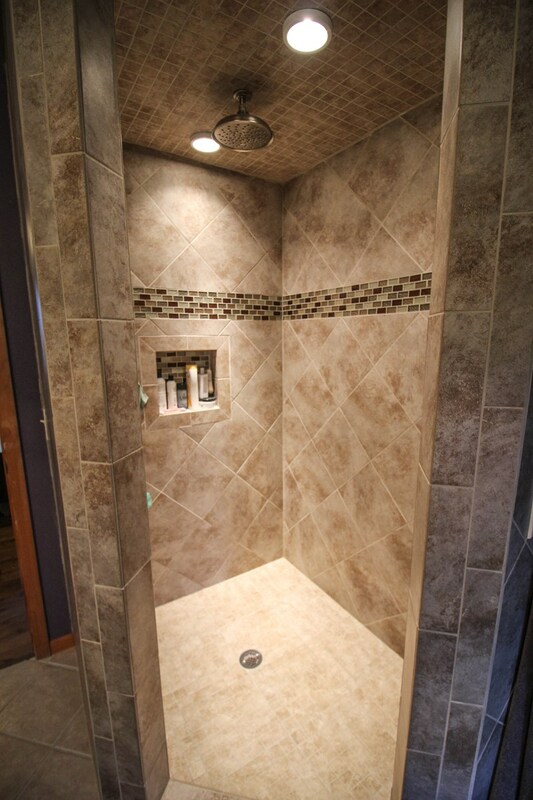 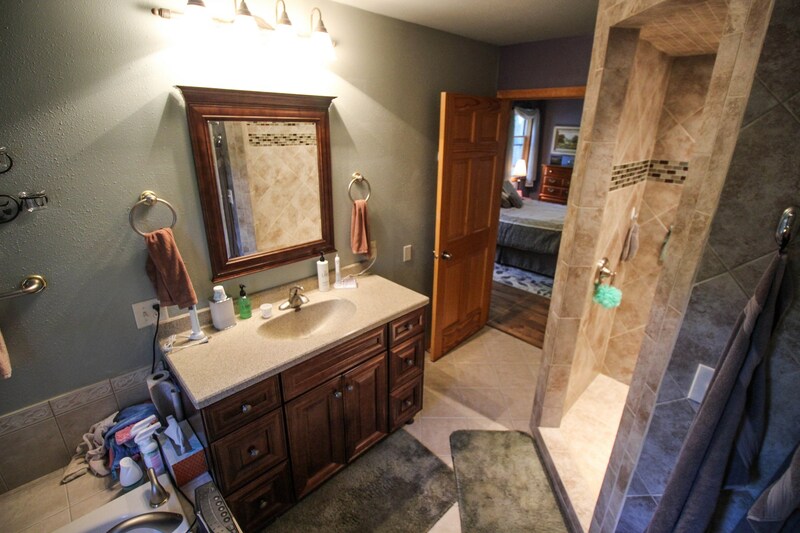 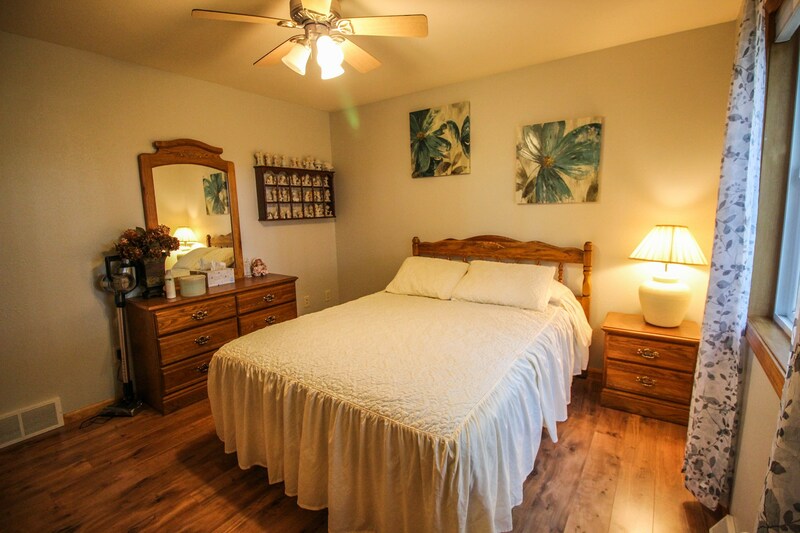 The loft on the second level offers a private master bedroom and bath with a tiled rainfall shower and walk in closet. 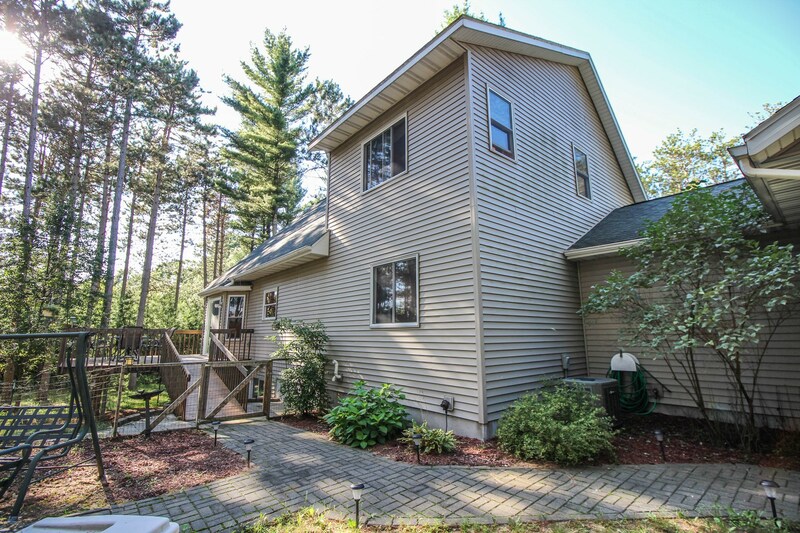 Spacious lower level is finished off with a large family room and additional bedroom with a bathroom. 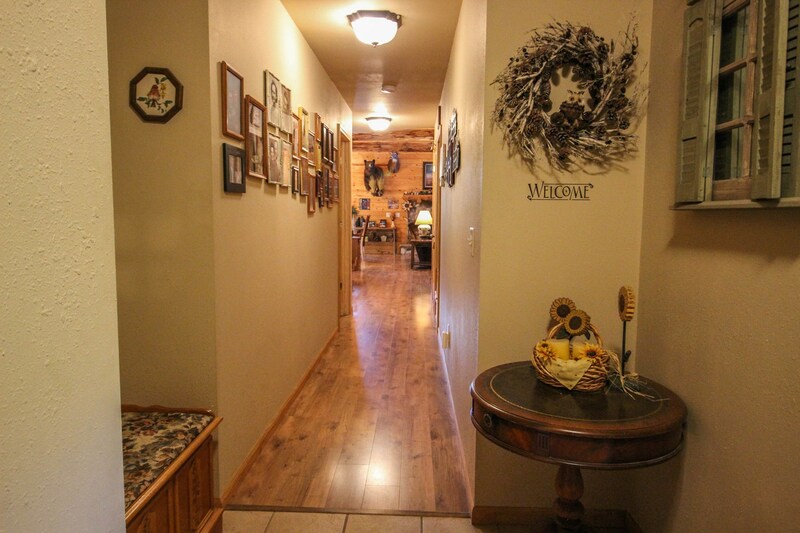 Find space for everyone in this home! 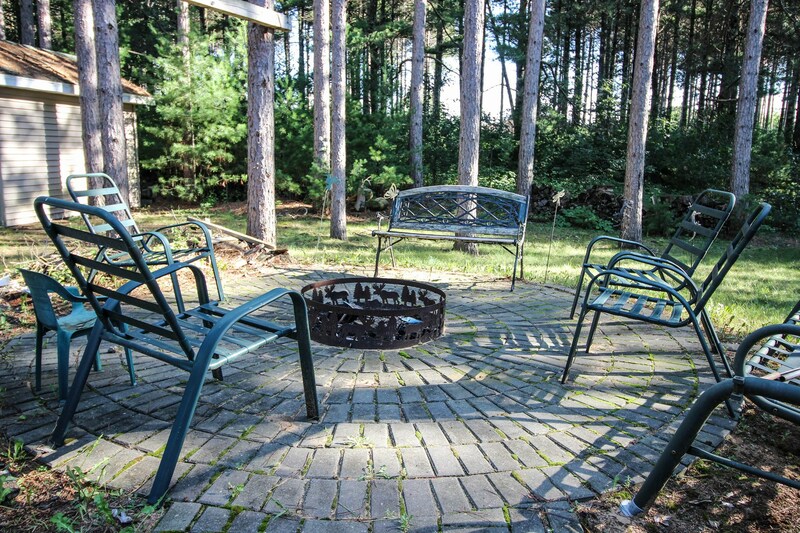 Easy care yard, fenced in pet area off back deck, with a nicely landscaped fire pit. 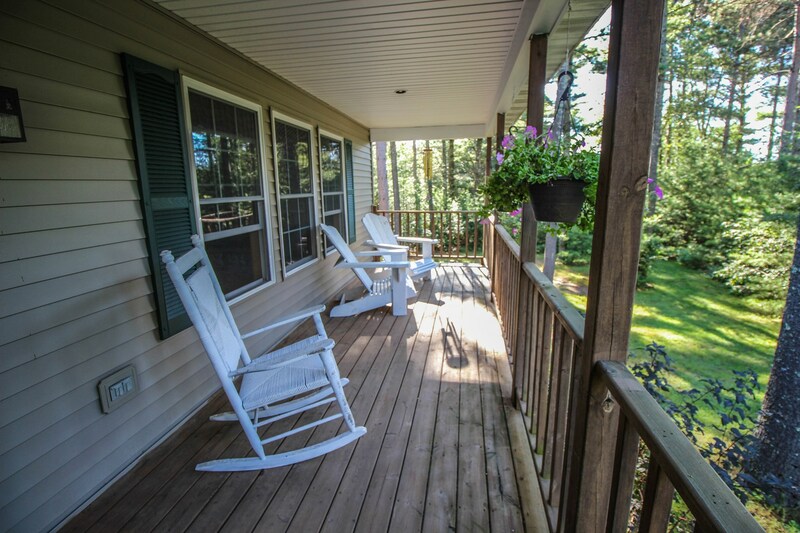 Large front porch off of te main entrance compliments this country home. 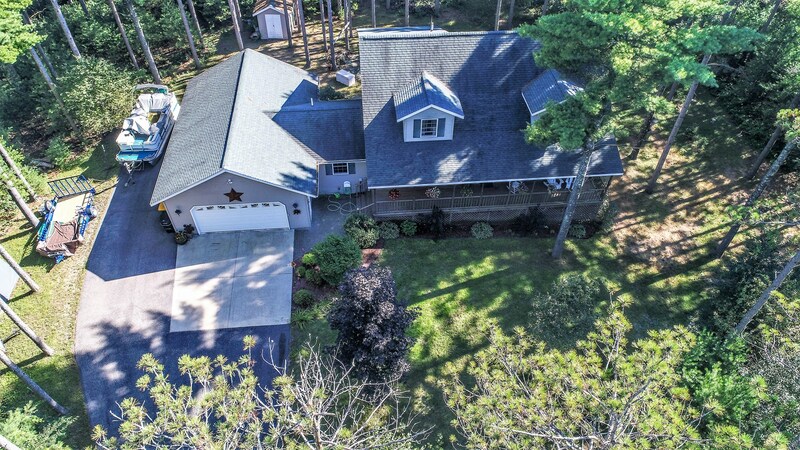 Location is everything and this home has it all! 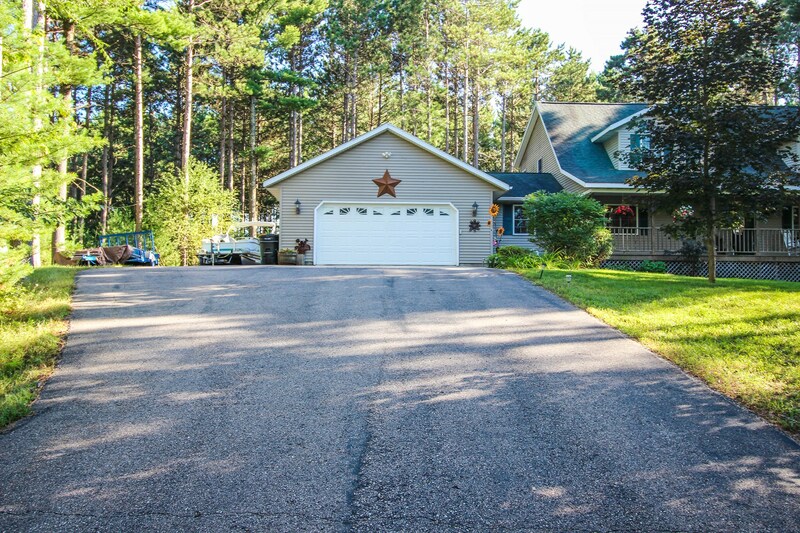 Call Lori Verhalen at 715-412-2830 to schedule a showing!